Update 3rd September: Foreign Secretary William Hague' statement to Parliament. 1. 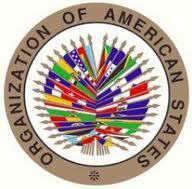 To reiterate the full validity of the principles and standards that govern diplomatic relations among states, especially those that concern full respect for the inviolability of the premises of diplomatic missions and consular offices, as recognized in the 1961 Vienna Convention on Diplomatic Relations and the 1963 Vienna Convention on Consular Relations. 2. To reaffirm that those principles and standards constitute fundamental rules for ensuring the peaceful coexistence of all the countries that comprise the international community. Interview after charge – the thin end of the wedge? The following paragraph is taken from the excellent Criminal Law Update (August 2012) produced by Garden Court North Chambers in sunny Manchester ! Four years after the provisions were enacted the government has brought into force from 10th July 2012 post-charge interviews under ss. 22 and 23 of the Counter-Terrorism Act 2008. 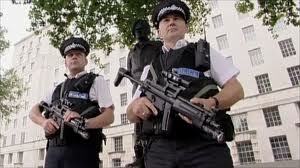 See Counter-Terrorism Act 2008 (Commencement Order No.6) Order 2012 (S.I. 2012 No. 1724). The editor of Criminal Law Week does not mince his words in his commentary – CLW 12/26/15 describing this as “one of the most sinister pieces of legislation enacted by the Westminster Parliament for many years”. He points out that this provision undermines the burden of proof as well as the right against self-incrimination and reminds us that most of the worst mis-carriages of justice happen in the most serious and heinous cases partly because of the temptation to cut corners to get a conviction at any cost. He also makes the point that no one should shrug their shoulders and say “this only applies to terrorism cases”. That may be true today but how long will it be before a government minister decides that the same provisions should be extended to other offences as well. It is earnestly to be hoped that the editor is correct in his assessment that the provision seems to be so obviously in breach of the rights of an accused person enshrined in Article 6 of the European Convention that it is unlikely to survive a challenge to its compatibility with the Convention in the UK courts let alone if it has to be litigated in Strasbourg. When future historians look back at the criminal legislation produced in the United Kingdom in the last fifteen years they are likely to find it easy to trace when the land that gave birth to the common law turned its back on long established legal principles designed to protect the vulnerable against the power of the state and decided that the rule of law was less important than continually trying to bump up the conviction rate. An interesting question - What if Mr Assange ever got to Sweden? Recommended reading: A post on the Pal Wrange blog is well worth reading on this subject and offers a similar view to that in my post below and also looks at whether Assange could now be extradited from the UK directly to the USA. Julian Assange sought asylum from Ecuador rather than face extradition to Sweden. His reason for this appears to be fear regarding the possibility of onward extradition to the USA. This fear probably stems from the fact that, in 2010, the US Attorney General ( Eric H. Holder Jr. ) confirmed that the Justice Department was examining whether Mr. Assange could be charged with a crime. However, at the time, some American legal scholars suggested that there would be "steep legal and policy difficulties" - New York Times 1st December 2010 and also see Ann Woolner "Wikileaks founder lurks beyond reach of the US Law" and Charon QC 1st December 2010. 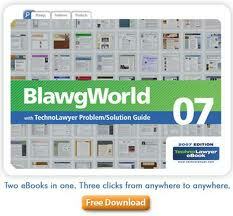 Any such legal difficulties would fall to be tested in the courts of the USA. Of course, Assange is now in the Ecuadorean Embassy in London having been granted diplomatic asylum by Ecuador but suppose that, at some future date, the UK is able to extradite him to Sweden. What would be the position should the USA then step in and ask Sweden to send him on? 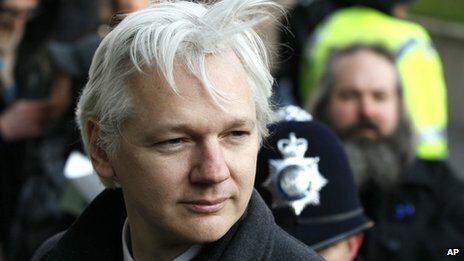 Updates: Assange spoke from the Embassy on Sunday 19th August - see BBC. 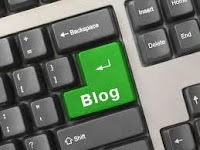 The Head of Legal blog has considered some aspects of this. 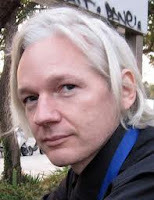 A good article from Scotland is that by advocate Niall McCluskey - "Assange - what's going on?" On BBC iPlayer - (but only available for 7 days from 16th August) - is a discussion with Pete Weatherby QC of Garden North Chambers, Manchester. Mr Weatherby is categoric in his view the there is no power in the Diplomatic and Consular Premises Act 1987 to enable the arrest of Assange in the Ecuadorean Embassy. Mr Weatherby suggests that the idea came from someone who left their brain on the beach - see Garden Court North website. The Senior Presiding Judge's Guidance to magistrates with respect to Police and Crime Commissioner elections has now been rewritten and is reproduced here. The latest version is expressed to be "interim" and will be reviewed in the light of experience of the new system. The latest version is a marked improvement on the initial guidance referred to in the earlier posts. This guidance is for magistrates who may be standing for election as a Police and Crime Commissioner (PCC), are planning to take part in a PCC election campaign, or who have been appointed or are likely to be appointed as a member of a Police and Crime Panel. It is issued in light of the fact that several serving magistrates have already been selected as PCC candidates or appointed as members of Panels. An important thing for any decision-maker to avoid is bias. Bias may be actual or apparent. In respect of judicial office-holders, whether they be judges, magistrates or tribunal members, the avoidance of even an appearance of bias is essential. In this regard, those who take the Queen's shilling have to accept some restriction on their general right to freedom of expression. The test for bias is set out in case law and this is summarised by the House of Lords (in relation to Police Officers serving as jurors) in Abdroikof  UKHL 37 - Lord Bingham at paras.14-16. The legal test is whether the fair-minded and informed observer, having considered the facts, would conclude that there was a real possibility that the tribunal was biased. The characteristics of the fair-minded and informed observer are that he must adopt a balanced approach and will be taken to be a reasonable member of the public, neither unduly complacent or naïve nor unduly cynical or suspicious. Litigants (and their legal representatives) are inclined to lack a sense of humour about decision-makers. 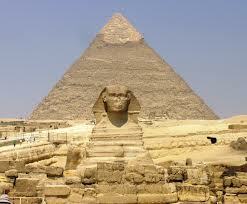 They expect them to be, as they have long been, as enigmatic as the Sphinx. The death has been announced of Lord "Alf" Morris of Manchester. He was 84. 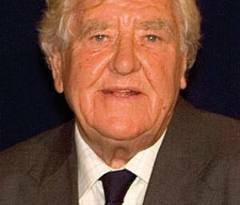 As Alfred Morris he was Member of Parliament for Wythenshawe, Manchester from 1964 to 1997. As a Member of Parliament he was particularly noted for his work on behalf of disabled people and he secured the enactment of the Chronically Sick and Disabled Person Act 1970. This is an example of a Private Member's Bill becoming law. (The Bill almost failed when Harold Wilson called an election in June 1970 but it got through as part of the "wash up" process at the end of the Parliament. The election was won by the Conservatives under Edward Heath). The Act was a groundbreaking step on the road to equality and was the first legislation in the world to recognise and give rights to people with disabilities - see BBC Lancashire 21st May 2010. Today, disability is a protected characteristic under the Equality Act 2010 s.6. See the Equality and Human Rights Commission website. 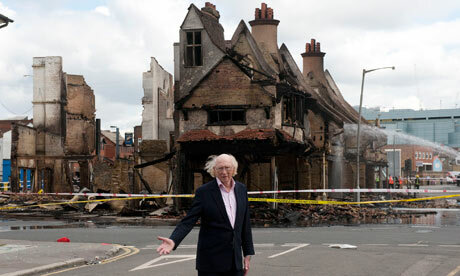 In May 2010 the BBC published "Alf Morris: the quiet revolutionary." The article pays tribute to Morris and notes that - "His record is one of solid achievement, and his legacy is one for which many millions of disabled people have cause to be grateful." "The senior judge who banned magistrates from standing as candidates in November's police commissioner elections has backed down and said they need not resign as JPs unless they are elected. The move by Lord Justice Goldring, the senior presiding judge in England and Wales, follows the threat of a high court legal challenge and accusations from Tory, Labour and independent candidates that he was "usurping the role of parliament" and had acted without consultation." 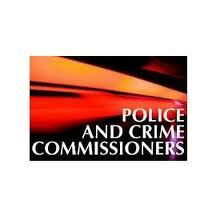 The Police and Social Responsibility Act 2011 abolishes "Police Authorities" and creates Police and Crime Commissioners. A judge may not become a Commissioner but what of a lay Magistrate? Judges are formally disqualified under the 2011 Act but lay magistrates are not - (see section 66). Parliament could easily have excluded them had it so wished. Enter the Senior Presiding Judge - Lord Justice Goldring. He has issued what is described as "guidance" to magistrates who may be considering standing for election as a Police and Crime Commissioner (PCC), or are planning to take part in a PCC election campaign, or who intend to apply to become a member of a Police and Crime Panel. See The Telegraph 9th August 2012 and also The Guardian 9th August. On any reading, this does not look like guidance. Despite the absence of a statutory prohibition on a magistrate standing for election, Lord Justice Goldring stated - "I have decided that it is not permissible for magistrates to stand for election as PCCs. ...." (My emphasis). "Magistrates who wish to stand for election, upon announcement of their intention to do so, should resign immediately." This is a command which brooks no argument. Now, it has to be accepted that the guidance does say "should" resign immediately but that begs the inevitable question - "What if one chooses not to resign." Time will tell whether this is ever put to the test. Judgment has been given in R (Othman) v Special Immigration Appeals Commission and others  EWHC 2349 Admin (Hughes LJ and Silber J). 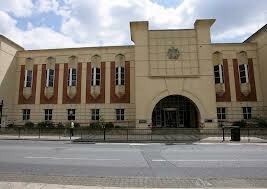 The claimant is in immigration detention pending deportation. 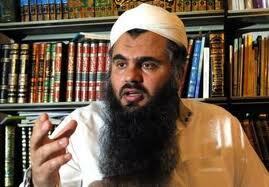 On 31 July the court heard, expedited, Othman's combined applications for habeas corpus and for permission to seek judicial review arising from his detention and from the decision of the Special Immigration Appeals Commission (“SIAC”) (Mitting J), given on 28 May 2012, to refuse him bail. The court refused the applications and, in this judgment, set out their reasons. As Hughes LJ noted - "There has been a prodigious litigation history to this claimant’s position in this country." As chairman of SIAC, Mitting J has now fixed a two week hearing for October of this year at which SIAC will adjudicate upon the factual question whether the obstacle to deportation identified by the ECtHR continues to exist or not. The British government argues that assurances now provided by the Jordanian Government, plus events which have taken place in Jordan, mean that the claimant can lawfully be deported consistently with the ruling of the European Court of Human Rights. The real risk that the claimant will face evidence which is the product of torture can now, the Home Secretary argues, be seen not to be present. See European Journal of International Law - "Diplomatic assurances: Torture and Extradition: The case of Othman (Abu Qatada) v United Kingdom"
The August 2011 disorder is back in the news with the sentencing of 16 offenders. See The Guardian 9th August 2012 which gives details of the offenders, the offences committed and the individual sentences. The Daily Mail 9th August covers the same story but places emphasis on the point that one of the offenders - Nasir Muhsen - had been housed in accommodation which would merit a rent of some £6000 monthly on the open market. The Mail also reports that - "In extraordinary scenes, many of the defendants, aged between 15 and 25, whooped with joy, shouting obscenities and laughing as the judge passed sentence." In recent years there have been a number of instances of defendants behaving in a manner which almost certainly amounts to a contempt committed in the face of the court. As far as I know, no additional action has been taken against any such defendant. Maybe it is time for the authorities to have a think about this? The House of Lords Reform Bill has been abandoned for this Parliament - see the announcement by Deputy Prime Minister Nick Clegg. 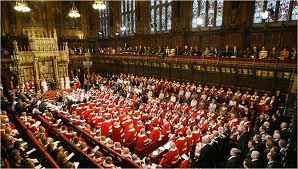 Lords reform has been considered in several posts on this blog. It was the Parliament Act 1911 which declared the intention to move to an elected Chamber but major reform of the type proposed in the Reform Bill has proved to be extremely elusive. The various attempts at reform are set out in the 20th May 2011 post - "Plantagenet Palliser - after 100 years, will Lords reform arrive." A District Judge (Magistrates' Courts) has been sitting at Stratford, London to deal with cases arising in connection with the Olympic Games - Duncan Campbell writing in The Guardian 1st August 2012 - "Olympic fast-track court at Stratford Magistrates." Mr Campbell reports on a few of the cases which he observed. The idea of a court sitting to deal rapidly with these cases is a legacy of the way in which (mainly) District Judges were used to deal with the disorder in August 2011. Given that some offending on the part of visitors to the U.K. is bound to occur, it was sensible to make plans for expedited court hearings - (Law Society 12th July). Duncan Campbell's report raises a few interesting points. After the Family Justice Review reported, Mr Justice Ryder was tasked with preparing the response of the judiciary to the report. 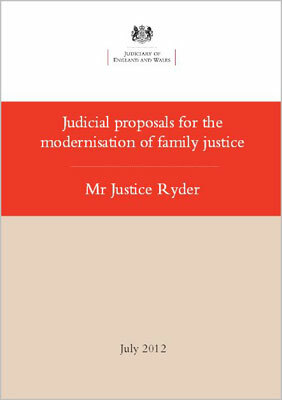 This has been completed and is available -Judicial Proposals for the modernisation of family justice. (pdf 25 pages). In preparing the response, Ryder J took part in some quite extensive consultation with over 5000 interested parties. It is worthy of note that many of the events he attended were sponsored including the Law Society organising a series of seminars. The proposals are independent of government though the government's legislative programme is not ignored. That programme includes the Crime and Courts Bill and, later, there will be a Children and Families Bill. The Crime and Courts Bill will create a single Family Court below the High Court. The High Court (Family Division) is not to be absorbed into the new family court though High Court judges will sit in the family court as required. Apart from the Communications Act 2003 s.127(1) - (see the post on the TwitterJoke case about the acquittal in the High Court of Mr Paul Chambers) - the law has several other ways of seeking to punish those who send ill-advised messages to others. Generally, these involve using Acts of Parliament enacted before the advent of modern social media (e.g. 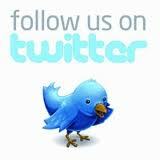 Twitter, Facebook) which the internet has made possible. Serious questions are being asked about the latest Twitter case - that of Reece Messer (aged 17) who put a message on Twitter intended for Olympic swimmer Tom Daley - Daily Mail 1st August - "We can't control Twitter insist Police ..." The message was undoubtedly very unpleasant. It said that Daley had "let down" his late father in the synchronised diving event - (see CBC News 31st July). It also seems that a second very unpleasant message was sent saying - “I’m going to drown you in the pool you cocky t*** your a nobody.” Reece's father is reported to have apologised on behalf of his son who, it is said, suffers from ADHD - (The Sun 1st August - Father of Tom Daley troll 'so sorry'). Messer was arrested in Dorset at 2.45 am 31st July for an alleged offence under the Malicious Communications Act 1988. Clearly, many Twitter users who saw the message considered it to be unpleasant and unnecessary but did it justify Police attention in the middle of the night?